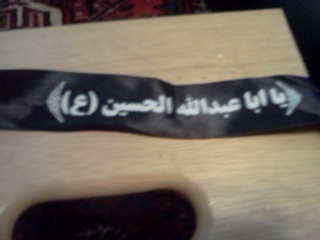 Mahdi Army Headband. Only $20. Nice score! Do you have any others? I wish! I'm looking into an Iranian made Mahdi Army Flag. If anyone knows any other cool Iraqi Insurgent items, please let me know.